A simple and sober appearing place with spacious rooms. 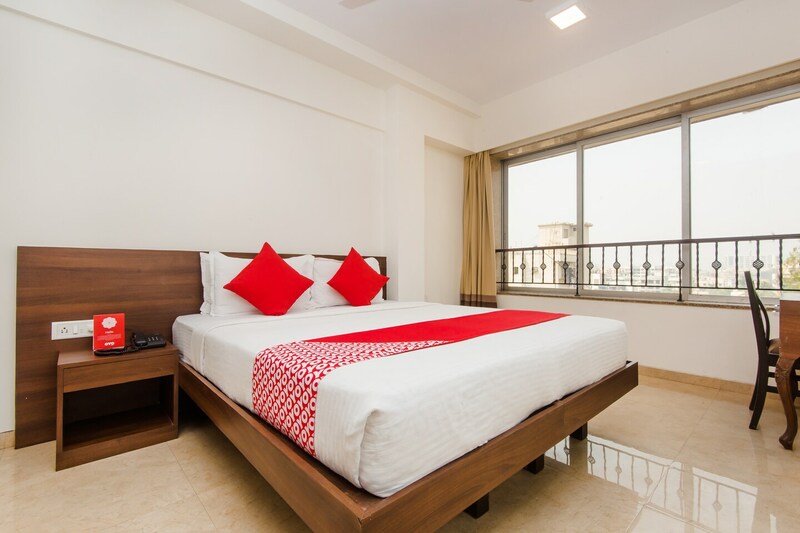 Imperial Plus is a hotel with a simple external architecture and a warm and inviting ambience. The bedrooms at the hotel are spacious with light colored walls and dark wood furnishings. The bedrooms at Imperial Plus have lots of windows that let the sunlight stream in freely, making the rooms appear bright and cheerful. The bright cushions make the space lively. The hotel provides its guests with free Wi-Fi so that they can remain in contact with the rest of the world. The hotel also encourages its guests to go cashless with a card payment option.